Blue Dream Bubba Cheese Bubba Kush Dedoverde Haze L.C. Sk. Lem. Kush Headb. Lemon Thai Kush Lost Coast Hash. A feminized Sativa-dominant marijuana strain that results from the cross between a Mendocino elite clone and a True OG elite clone. This combination offers an excellent strain that adds a refined edge to the cannabis world. 707 Headband cannabis seed is the fruit of a close collaboration between a group of growers of the Mendocino county and HSO. It is a wonderful, fast-flowering, easy-to-grow, big plant that grows vigorously and yields great amounts of large, compact buds, staking being necessary to hold its weight. Suitable for Sativa lovers, this marijuana strain performs well indoors as well as outdoors in a Mediterranean/temperate climates or in the pleasant atmosphere of a greenhouse. It will surprise you with its many properties and will certainly impress the most demanding growers. 707 Headband cannabis seeds produce a strong flavour and aroma, with clear notes of pine and lemon. Their long-lasting, powerful, cerebral effect will send you on a mind-blowing psychedelic trip. A feminized Indica-dominant cannabis strain obtained by selecting and carrying out a series of backcrosses of the True OG, an elite clone kept since the mid-90s. Created with the intention of obtaining a first-class OG Kush seed which contained all the traits of an OG, this seed will captivate and delight OG strain fans. 707 Truthband by Emerald Mountain is a real treasure, a reflection of the high quality expected when talking about Californian strains. This marijuana seed turns into a marvellous, vigorous plant which yields big-sized dense buds covered in resin. In addition, in cold conditions it shows some beautiful hues of blue and purple. It is greatly appreciated in California and it has become a must-have in many cultivators’ collections. 707 Truthband by Emerald Mountain cannabis seeds develop medium-sized/big plants with a major distance between nodes and thin elongated leaves. Even though it performs well indoors, it is necessary to control its growth. It enjoys warm Mediterranean climates as well as the pleasant atmosphere of the greenhouse. Its low resistance to moulds is made up for its fast flowering and its rich taste and aroma, which make it a plant difficult to resist. It has a deep flavour and aroma, with hints of spiced fruits, lemon, oil and pine. Its effect being cerebral at first and physical later on, both phases are accompanied by a potent and long-lasting high. It is perfect if you need to wind down for a while. A feminized strain that comes from Mendocino (California), but their genetic origin is kept secret. This is a strong, robust and powerful hybrid with a short flowering and a really high yield. Amherst Sour Diesel develops wonderful, medium-sized/large marijuana plants, with a strong, fairly open structure and with long thin leaves. It thrives, making it convenient control their indoor growth in order to have enough space during the flowering. Her many long branches holds big compact buds, completely coated in resin. It has excellent aromatic qualities and taste, and quality crops are obtained quickly and easily. Amherst Sour Diesel has an intense aroma and rich flavour, with notes of Diesel, fruits, exotic woods and oil. Its powerful effect is cerebral, stimulating and euphoria-producing, typically Sativa. It is ideal for a good time with friends. Suitable for medical use. A feminized Sativa-dominant cannabis strain derived from the cross between Blackberry Kush and Emerald Headband. Humboldt Seed Organization, together with the biologically minded breeder Biovortex, has succeeded in obtaining a marvellous seed that is sure to offer an unbeatable high-quality final product, particularly taking into account the two northern Californian elite genetics from which it originates. Black D.O.G. is an excellent choice for OG Kush lovers as well as for those capable of making the most of high-end cannabis. This exotic and bewitching marijuana seed, laden with typical Kush-like traits, is a real treat for the senses. Black D.O.G. evolves into an outstandingly strong cannabis hybrid whose tenacious rooting system adds to the production of big, heavy and compact buds brimming with resin. It should be noted that, during the flowering phase, it is expected to grow approximately a 30%. Some Black D.O.G. phenotypes develop incredibly beautiful dark colours that will brighten up any space. Its rich, fruity and complex organoleptic properties will undoubtedly seduce the most demanding and refined palates. Despite being a great option to grow indoors, it shows its full potential when outdoors, particularly in dry, sunny, temperate, Mediterranean climates or under the protection of the greenhouse. Among the many advantages it offers, given its fast-flowering properties, this strain is rarely affected by moisture-related problems. Black D.O.G. has a deep flavour and aroma, with hints of grapes, berries and oil. The strong but pleasant effect it provides starts with a cerebrally stimulating sensation that turns into a physically relaxing feeling of long duration. It is the perfect marijuana strain for those who need to unwind peacefully. A feminized Indica-dominant cannabis strain derived from the cross between Bubba Kush and Blueberry. This project was intended to obtain a magnificent, colourful, high-quality plant which could offer a remarkably complex flavour and aroma. Blueberry Headband is a beautiful, powerful and mysterious marijuana strain which constantly surprises you with all the secrets it does not reveal. This cannabis seed grows in a beautiful, easy-to-grow plant containing "Dank" traits, and yielding generous amounts of big buds which not only give off a nice fruity scent but also acquire reddish and blueish hues during the flowering period. Blueberry Headband is a beautiful, high-yielding, medium-sized/big plant with a medium distance between nodes and big broad leaves. Offering great results both indoors and outdoors, it is a nice plant that grows best outside in warm or Mediterranean climates or beneath the protection of a greenhouse. It is undeniably a strain to keep in proper genetics collections, particularly bearing in mind the interesting and cutting-edge breeding work carried out to obtain it. 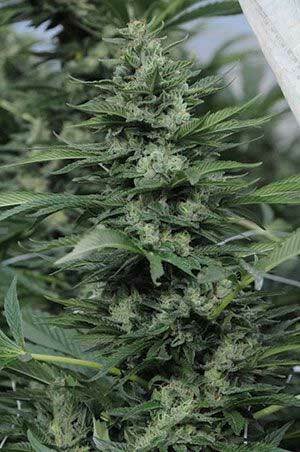 Blueberry Headband marijuana seeds have a deep flavour and aroma, with rich hints of species and aniseed. As its effect, both cerebral and physical, is potent and long-lasting, it is the perfect strain to unwind for a while. A Sativa-dominant cannabis strain derived from the cross between a Blueberry and a selected Haze. The result is a highly regarded Californian hybrid that is famous for its pleasant fruity flavour, its earthy hints and its bluish hues. Blue Dream grows in a beautiful medium-sized/big high-quality plant with a resistant structure that yields plenty of compact and resinous buds. Its flavour and aroma are sweet and fruity, with notes of citrus, Haze and incense. The effect is clearly Sativa, starting with a cerebrally powerful high that evolves into a pleasant physical relaxation. Given its therapeutic properties, Blue Dream is loved by medical cannabis users: it is perfect to ease muscle pain and to cure insomnia. Outdoors, Blue Fire grows happy in dry, hot climates or in the greenhouse, while indoors a shorter vegetative period is recommended. But regardless of the grow environment, she will develop hardy plants that produce top-quality bumper crops of fragrant buds dripping with resin. The smell of Blue Fire is reminiscent of fuel and oil, with undertones of berries and citrus fruits. With a THC level of up to 24%, the effect is an indica-like tsunami that will put you out for a long while.Outdoors, Blue Fire grows happy in dry, hot climates or in the greenhouse, while indoors a shorter vegetative period is recommended. But regardless of the grow environment, she will develop hardy plants that produce top-quality bumper crops of fragrant buds dripping with resin. The smell of Blue Fire is reminiscent of fuel and oil, with undertones of berries and citrus fruits. With a THC level of up to 24%, the effect is an indica-like tsunami that will put you out for a long while. A feminized Indica-dominant cannabis strain derived from the cross between Bubba Kush and God's Gift. Thanks to this project, we have obtained an almost pure Indica hybrid of extraordinary quality, both at an organoleptic level and at a global level. Bubba's Gift is a present from Humboldt Seed Organization to all growers worldwide. It is an excellent Indica comprising many advantages. This cannabis seed grows in a marvellous high-end plant which will captivate all those who come to meet it. Small, with short distance between nodes, it flowers in 50 days, producing generous compact buds in the shape of golf balls. Its big and broad leaves turn purple during the flowering period. It performs well indoors, particularly in reduced spaces, but it grows happier in temperate, Mediterranean climates as well as in the pleasant atmosphere of the greenhouse. It is not excessively resistant to moisture. This marijuana seed is a must-have for those enthusiastic about Indica cannabis seeds. The strong fragrance it gives off requires the use of active carbon filters so as to neutralize the smell. Bubba's Gift produces a very intense flavour and aroma, with hints of exotic fruits which bring to mind the taste of a piña colada cocktail with subtle touches of oil and species. Its long-lasting and potent effect is typically Indica, i.e., physical and relaxing, which makes it perfect to unwind and for medical use, particularly for reducing muscle tension and stimulating the appetite. Bubba Kush cannabis seeds by Humboldt Seed Organization belong to a feminized Indica-dominant cannabis strain derived from the cross between Bubblegum and OG Kush. The result is a marijuana hybrid renowned for its sweet flavour and its overwhelming Indica-like potency. Bubba Kush develops extraordinary small cannabis plants that produce generous crops of large high-quality buds overflowing with resin. Breeders of all levels will easily obtain a marvellous end product. The flavour and aroma of Bubba Kush are sweet and intense, with hints of exotic fruits, chewing gum, earth, diesel fuel and species. Its effect is powerful, narcotic and relaxing. It is suitable for medical use. Blue Dream CBD cannabis seeds by Humboldt Seed Organization belong to a brand-new, high-CBD and Sativa-dominant strain, created using the latest state-of-the-art breeding techniques. The experience and the know-how of all expert breeders working at HSO, in conjunction with the most-advanced technology, have led to the development of this high-end CBD version of the legendary California seed, Blue Dream. From now on, everyone will have the chance to enjoy an outstanding cannabis jewel overflowing with CBD properties: 2 in 1. Blue Dream CBD proudly embodies all the traits found in this new generation of seeds noted for containing cannabidiol properties never seen before; a generation resulting from a project started off by the Californian seed bank with the aim of creating a new family of marijuana seeds for therapeutic use, accessible to all types of users. Blue Dream CBD develops a strong rooting system that gives way to sturdy, healthy and hardy plants with thin, elongated leaves, and long internode spacing, allowing light to reach even the lower sections. Its extraordinary DNA is responsible for the heavy yielding properties it showcases. In fact, only 9 weeks are needed for its entire body to end up covered by a dense layer of highly resinous buds. Each and every of the colours on this plant is definitely a not-to-be-missed show, a magical blend of purplish, blueish and silvery tones that will fill your garden with joy. Blue Dream CBD presents an astounding flavour with delicious hints of berries, citrus and pepper. When it comes to its effect, the low psychoactivity levels found in it make it perfect for people with limited tolerance to cannabis or for those who wish to enjoy a relaxing moderate-potency strain without feeling numb or overly heavy. Green Crack CBD cannabis seeds by Humboldt Seed Organization are born thanks to a thorough selection process carried out by the expert breeders working at HSO, who, using their instincts and backed by the most innovative technology, have created the CBD version of one of the most legendary Californian marijuana genetics on earth: Sweet Skunk (AKA Green Crack). It is basically a CBD-rich, Sativa-dominant cannabis strain with all the original traits and CBD properties boosted. Green Crack CBD belongs to a new generation of cannabis seeds for therapeutic purposes that represents a major step forward in the field of cannabinoids. By creating such a line, Humboldt Seed Organization aims to put at everyone’s disposal its most legendary genetics with all the therapeutic benefits of CBD and a more moderate effect. With a fast vegetative growth and vigorous structure, Green Crack CBD performs marvellously with SCROG, presenting large spacing between nodes and a strong rooting system. There’s no doubt that it is a high-end cannabis strain in every respect since it not only produces incredibly large amounts of resin, but it also displays amazingly beautiful hues if exposed to low temperatures at night. Green Crack CBD’s flavour won’t leave anyone indifferent. There will be no one capable of resisting the delicious mango, pine and pepper mix it offers. Its moderate effect, low in psychoactivity, provokes a pleasant euphoric sensation that takes time to disappear. Not being so potent, everyone will be able to enjoy it without having to worry about it interfering with their daily routine. A feminised Indica-dominant cannabis strain which is a heavy-yielding medium-sized cannabis hybrid that produces abundant high-quality crops overflowing with large and resinous buds in a remarkably short time. Chemdawg, father of world-renowned strains such as OG Kush and Sour Diesel, is believed to have come from a high-quality seed bought and developed by a breeder also called Chemdog. Chemdawg has a very intense flavour and aroma, with deep notes of lemon, pineapple and fuel. Its effect is extremely potent, not suitable for occasional users. 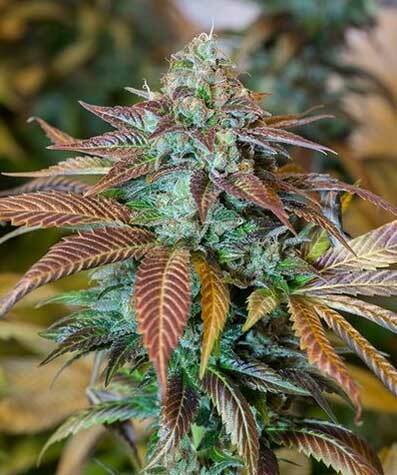 Chocolate Mint OG cannabis seeds by Humboldt Seed Organization belong to a feminized Indica-dominant marijuana strain derived from the cross between OG Kush and Grandaddy Purple. With this cannabis seed we aimed to obtain a hybrid with a very demanding quality, different from what can be found in the market. The result was an excellent quality seed, with very special genetics and organoleptic properties. Chocolate Mint OG is a jewel still waiting to be discovered, a pleasure to see it grow and providing a surprising complex aroma and taste. This marijuana seed grows in a vigorous, easy-to-grow plant that produces egg-shaped dense compact buds, as long as it is well taken care of. During the flowering period, it is highly important to provide the plant with some extra support by using tutors, so as to keep the branches full of buds up. Chocolate Mint OG is a medium-sized/big plant with a major distance between nodes and big broad leaves which acquire beautiful purple hues during the flowering phase. It performs well both indoors and outdoors but temperate Mediterranean climates are preferred. Its low resistance to moisture is opposed by its fast flowering properties. We are, therefore, in front of a top-notch cannabis strain, not to be missed by experts and demanding growers. Chocolate Mint OG has an intense flavour and aroma, with notes of mint, chocolate, pine, species and some sour touches. Its long-lasting effect, both physical and cerebral, is so extremely potent that only those used to it will manage fine. The perfect choice if we are looking for a good night's rest. A feminized cannabis strain derived from the cross between an Original Amnesia and a selected California Haze. The result is a strong and robust Sativa-dominant hybrid with a short flowering time and great potency that is easy to grow as well as really productive. Dedoverde Haze develops extraordinary medium-sized/big plants with a resistant open structure and thin elongated leaves that produce big compact buds overflowing with resin. It is advisable to control its growth when cultivating indoors so that it has enough space to grow comfortably during the flowering. Resistant to mould and diseases, this strain will thrive if provided with a nutrient-rich diet. It is aimed at Sativa lovers that long for really potent strains with delicious and subtle organoleptic properties. Good results are obtained with all cultivation methods if cared for adequately. Dedoverde Haze has an intense flavour and aroma, with clear notes of lemon, pinewood, Haze, incense and species. Its effect is totally Sativa, providing a cerebrally potent and euphoria-producing high. It is the perfect choice to have a good time with friends. A feminized Sativa-dominant cannabis strain derived from the cross between a Amherst Sour Diesel and an Emerald Mountain DAD (Diesel Afghan Diesel). The result is a strong, robust, powerful and easy-to-grow hybrid with a short flowering and a high-yield. Desert Diesel develops splendid, medium/large marijuana plants, with a strong, slightly open structure and leaves of intermediate size. It grows very strong, so it is convenient control its indoor growth because enough space for flowering must be provided. 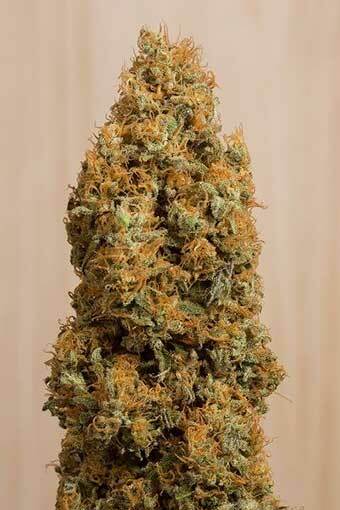 Growing with the look of a Christmas tree it produces plenty of large and heavy buds, covered with resin. It is a variety that is intended for Diesel lovers, seeking balanced strains and good overall qualities. Desert Diesel has an intense aroma and sweet taste, with clear notes of Diesel, fruit, sandalwood, and oil. The effect is powerful, cerebral, clear and exhilarating. It is ideal for many activities with friends. It is suitable for medicinal use. Dr Greenthumb's Em-Dog by B-Real of “Cypress Hill” cannabis seeds by Humboldt Seed Organization is a feminized cannabis strain that derives from the cross between OG Kush and Chem#4. The result is a strong and robust Indica-dominant hybrid with a short flowering time and great potency that is easy to grow as well as really productive. Dr Greenthumb's Em-Dog produces extraordinary medium-sized plants with a resistant structure and average distance between nodes that yield large buds coated with resin. Dr Greenthumb's Em-Dog owes its existence to Keif Sweat, famous breeder friend of B-Real, member of the American rap band known as “Cypress Hill”. It oozes great quality as well as some excellent features worth a try. The flavour and aroma of Dr Greenthumb's Em-Dog are intense and fruity, with hints of pine wood, exotic fruits, lemon and diesel fuel. The effect it provides is powerful but rather balanced, as it starts with a cerebral high that evolves into a long-lasting feeling of relaxation. A feminized, Indica-dominant cannabis strain derived from one of KiefSweat's elite cuts. It is a high-quality strain that will certainly delight the most purist and demanding Indica lovers. Ewe-2 comes from the private collection of the personal breeder of Cypress Hill, Kief Sweat. It is a wonderful, fast-flowering, easy-to-grow, small (15% of final stretching) marijuana plant that grows vigorously and yields compact, crown-shaped buds. It is important to let the plant reach the desired size before moving on to flowering. This strain performs well in small indoor spaces as well as outdoors in dry, Mediterranean climates or in a greenhouse. It is advisable to cut the tip to increase the yield, as doing so creates bigger space between the terminal flowers, which improves light penetration. Ewe-2 cannabis seeds produce a strong flavour and aroma, with clear earthy notes. The long-lasting effect is powerful and very relaxing, ideal to unwind deeply on your own or with your friends. Skilfully combines the best genetic traits of two big names in the cannabis world, making it a sure favourite with growers. The result is an awe-inspiring plant that requires virtually no maintenance, although in outdoor setups she will offer higher yields if topped or if you train her branches using the LST technique. As harvest approaches, the buds will develop an increasingly thick resin coat giving off a delicious earthy aroma with a sweet, vanilla-like undertone that will have you salivating from the outset. A feminized marijuana strain that originates from the cross between a 1989 SSSC Skunk #1 and an Isolated Afghani Cut. The result is a strong, robust and easy-to-grow Sativa-dominant hybrid, with a short flowering period and a really heavy yield. 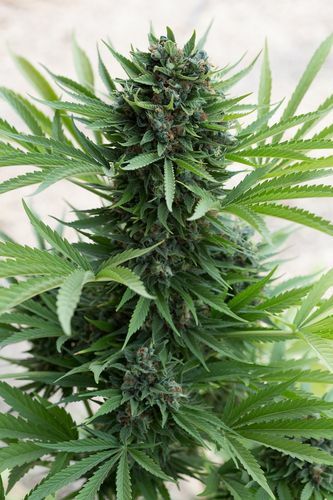 Green Crack develops wonderful, medium-sized/big plants, with a strong open structure, and with long, thin leaves that acquire a beautiful light green colour. It grows very strong so it is desirable to control its growth in order to allocate enough space for flowering. This Christmas tree-shapes plant produces plenty of large and heavy buds, covered with resin. Green Crack is a variety aimed at those looking for sweet and fruity aromatic and taste qualities with an excellent quality and high performance. This variety is in high demand in California and we think it will soon obtain the same success in Europe. Green Crack has an intense and fruity aroma and flavour, with notes of mango, pineapple, exotic wood and incense. The effect is a stimulating, euphoria-producing and cerebrally powerful Sativa-like high. It is ideal for a good time with friends, and also for medicinal use. Lemon Garlic OG marijuana seeds by Humboldt Seed Organization belong to a feminized Indica-dominant cannabis strain obtained thanks to an arduous selection process where the best OG Kush of 7 different generations were isolated, allowing us to choose the most remarkable of them all. It is a must-have for lovers of marijuana with ancient lineage and particularly for those specialized in high-quality Californian genetics. Lemon Garlic OG gives us the chance to discover a new strain that lives up to its name, comprising very special characteristics that make it stand out from the crowd. Belonging to a less common line of OG Kush, its well-consolidated genetics make it an essential seed for fans of OG Kush and high-potency cannabis. All in all, it is an outstanding, high-yielding, easy-to-grow, vigorous marijuana plant that flowers fast and produces big, compact buds covered in resin. Good quality results can be obtained with little work. Lemon Garlic OG cannabis seeds grow in a medium-sized plant, with big broad leaves and with a major distance between nodes. It grows well indoors but it is advisable to control its growth according to the phenotype it produces, as some tend to stretch exaggeratedly. Outdoors it performs very well in temperate, Mediterranean climates and in the greenhouse. It is highly resistant to moisture and it does not require abundant feeding so as to grow at its full potential. Both its flavour and aroma are truly surprising and pleasant, driving your taste buds crazy and making your senses tingle. The presence of lemon, pine and garlic are undeniable. The effect is powerful and it starts with a cerebral high that evolves into a long-lasting feeling of relaxation. It is the perfect option to unwind both alone and with friends. A feminized Sativa-dominant marijuana strain that results from the cross between a 215 Super-bud elite clone, a Headband and an Original OG. The aim was to obtain a high-quality strain that lived up to the standards of the most demanding and experienced growers. Lemon Kush Headband cannabis seed was developed to obtain a great aromatic and taste complexity as well as an effect that meet the expectations of growers. 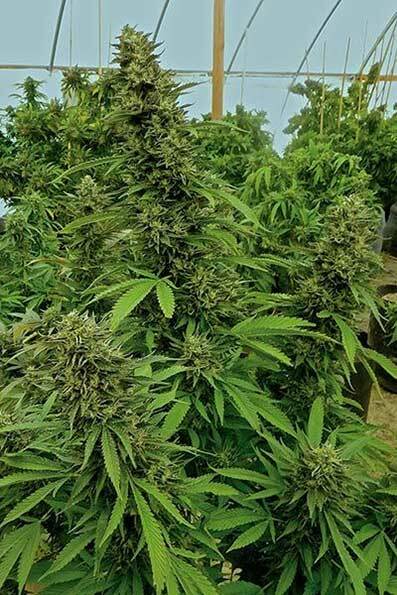 It is an outstanding, fast-flowering, high-yielding, easy-to-grow, medium-sized/big plant that grows vigorously and produces large, elongated buds. Its noble lineage is noticeable at first sight. Lemon Kush Headband is highly resistant to mould and diseases, that is why it responds well to temperate/Mediterranean climates outdoors or to a greenhouse. Indoors, a short growing period is recommended as this strain will stretch considerably later on. You will be amazed by its excellent global qualities and its homogeneity. Lemon Kush Headband cannabis seeds give off a strong flavour and aroma, with mild sour and citric notes. The effect is powerful, cerebral and long-lasting. It is the perfect strain to have a good time with your friends. 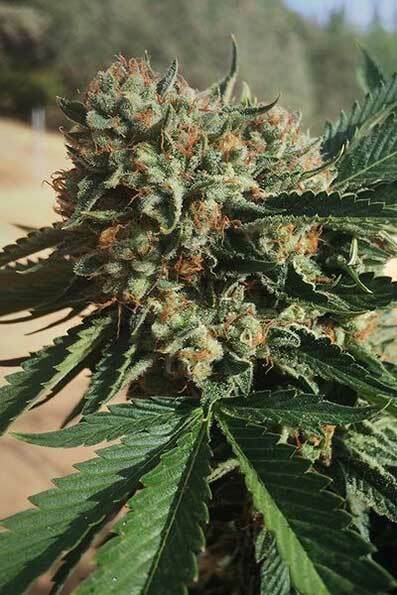 Lemon Thai Kush cannabis seeds by Humboldt Seed Organization belong to a feminized Sativa-dominant marijuana strain derived from the cross between a White Widow and a selected Haze. This cannabis hybrid is noted for its heavy production of resin as well as for its outstanding potency. Lemon Thai Kush grows big marijuana plants with a resistant structure that produce plenty of crops overflowing with sticky and resinous buds. All the aforementioned qualities make this plant a great choice for professional breeders and beginners alike. Lemon Thai Kush has an intense flavour and aroma, with notes of lemon, cedar, pine and black pepper. The effect is powerful, and both physically and cerebrally balanced. It is the perfect strain to have a good laugh with friends. A feminized strain that originates from the cross between a Lost Coast OG and a G13 x Hashplant hybrid. The result is a strong and robust hybrid with Indica dominance and great potency that is easy to grow as well as remarkably productive. Lost Coast Hashplant developes splendid small/medium size plants, with a strong structure and leaves of intermediate size. It grows very strong so it is convenient control its indoor growth so that it can have enough space for flowering. This Christmas-tree shaped plant offers an abundant production of large, compact, high-quality buds covered with resin. Lost Coast Hashplant has an intense flavour and aroma, with notes of pine, earth and spices. The effect is powerful and extremely relaxing, ideal for relaxing peacefully in front of a good movie. It is also a suitable strain for medical use. A feminized cannabis strain that originates from the cross of a Pakistani Kush and a Lemon Thai. The result is a strong and robust Indica-dominant hybrid with a short flowering period and a heavy yield that is remarkably easy to grow. Lost Coast OG develops wonderful and resistant medium-sized plants with an average distance between nodes and mid-sized leaves. It grows with the appearance of a Christmas tree with a heavy production of large, compact buds overflowing with resin. Although it performs well in coastal warm regions, it thrives outdoors. It is the perfect strain for Kush-lovers. Lost Coast OG has an intense aroma and flavour, with clear notes of lemon and Kush. Its powerful and balanced effect starts with a pleasant cerebral high that evolves into a nice feeling of physical relaxation. This is a variety with medicinal properties. An Indica-dominant feminized cannabis strain that originates from the cross between a Bubba's Gift and an elite clone of OG/Afghan X. All their hard work was aimed at obtaining an outstanding Indica seed overflowing with colours, exoticism and potent calming properties suitable for medical use. This Indica-dominant hybrid boasts comprehensive organoleptic properties, offering a fruity flavour and aroma, as well as an effect that opens the door to infinite recreational and therapeutic possibilities. Mango Sapphire marijuana seeds grow in a small, vigorous and fast-flowering plant with a high production of compact buds as hard as iron which acquire extraordinary red/lavender hues during the flowering. Mango Sapphire performs well in indoor reduced spaces but it prefers dry/temperate/sunny/Mediterranean climates as well as the cosy atmosphere of the greenhouse. To make sure the best results are obtained, it is highly important to use tutors for holding its branches during the flowering. This cannabis seed will undoubtedly delight Indica lovers and connoisseurs. Mango Sapphire will surprise you with its intense fruity flavour and aroma, with nuances of tropical fruits, coconut, mango and sour fruits. Typically Indica, its effect is calming but very potent and long-lasting. This seed is a clear must-have in the collection of those passionate about classic Indica seeds and therapeutic strains. A feminized Indica-dominant cannabis strain derived from the cross between a Lemon Thai/Pakistan and a Chemdawg. The result is a hybrid that produces plenty of exotic-scented resin with therapeutic and medicinal properties. 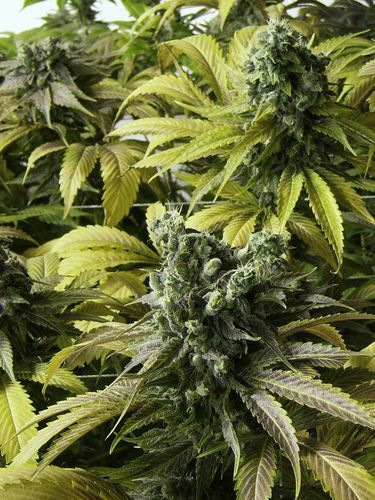 OG Kush grows delicious and easy-to-grow plants with a small resistant structure that yields numerous large and compact buds covered in perfumed resin. OG Kush has an intense flavour and aroma, with hints of lemon, exotic fruits and diesel fuel. Given its potent and relaxing effect, it is perfect to have a good night’s sleep. It is also suitable for medical use. 80% indica and 20% sativa, OGKZ has a flowering period of just 60-65 days when grown indoors, where she will reward you with a really impressive yield provided you give her a longer vegetative period. Outdoors, she does best in warm, dry climates or in the greenhouse, reaching up to 3-4 metres in height and producing a uniquely aromatic crop of buds that, when growing conditions are optimal, can be described as a gift of nature. OGKZ has a delicious, pungent, gassy/sweet aroma, with undertones of citrus fruit and cedar. The flavour, equally gassy, delivers hints of pine, incense, grapes and cinnamon, tickling your taste buds from the very first hit. A true delicacy that, with 24% THC, goes straight to your head, where it explodes violently filling you with inspiration for a long while. Pineapple Skunk cannabis seeds by Humboldt Seed Organization belong to a regular cannabis strain derived from the cross between an Indica and a Sativa. Pineapple Skunk is a commercial hybrid famous for its heavy-yield as well as for being remarkably easy to grow. The plants resulting from these seeds are medium sized and produce marvellous large and tasty buds covered in perfumed resin. Given the strong aroma they give off, it is necessary to make use of anti-odour filters during the flowering period. The flavour and aroma of Pineapple Skunk are intense and sweet, with notes of lemon, Skunk, ripe fruit, pine and species. The effect is powerful, balanced, physical, cerebral and long-lasting. It is perfect to wind down on your own or with friends. Purple Trainwreck cannabis seeds by Humboldt Seed Organization belong to a feminized Sativa-dominant strain that comes from the cross between Mendo Purps and Trainwreck. The result is a strong, robust and easy to grow hybrid with a short flowering and a heavy-yield. Purple Trainwreck develops wonderful medium-sized plants, with a solid and slightly open structure and intermediate leaves. It grows very strong so it is desirable to control its growth indoors, so you must have enough room for flowering. Growing with the appearance of a Christmas tree, this plant offers a heavy production of large and heavy buds covered with resin. It is a beautiful plant that can acquire shades of purple/violet if exposed overnight at low temperatures in the flowering period. Purple Trainwreck has an intense aroma and flavour, with notes of lemon, lavender, and pine wood. Its effect causes a moderate cerebral high, stimulating and euphoric. Ideal for sharing good times with friends. This is an appropriate variety for medicinal use. Raspberry Diesel cannabis seeds by Humboldt Seed Organization belong to a feminized Sativa-dominant cannabis strain that results from the cross between a Sour Diesel #2 and a Sweet Cherry Afghan “Old World Pheno”. The aim of this project was to obtain an excellent quality hybrid for Diesel and high-end cannabis lovers. Raspberry Diesel is undoubtedly a marvellous full-fledged cannabis strain. It grows extraordinarily well and its complex and attractive organoleptic properties are sure to impress you. Vigorous and easy-to-grow, this good quality plant produces dense buds with a pleasant aroma and beautiful shades of purple during the flowering period. It is also a good choice to obtain high quality extractions. Raspberry Diesel marijuana seeds develop lovely medium-sized plants, with medium distance between nodes and with big broad leaves. Offering great results both indoors and outdoors, it is a nice plant that grows best outside in warm or Mediterranean climates, or beneath the protection of a greenhouse. This plant has also proved to be resistant to moisture and diseases. Genetics collectors should treasure at least one clone of this valuable jewel. Raspberry Diesel marijuana seeds have an intense flavour and aroma, with sweet hints of berries, oil and pepper. It has a clear Sativa-like effect, i.e., cerebral, invigorating and head-clearing at the beginning, but it becomes nicer later on, providing a subtle relaxing sensation which ends up being really potent and long-lasting. It is perfect to share good moments with friends and boost creativity. Indica-dominant cannabis strain obtained by crossing a Girl Scout Cookies and a selected True OG. Her credentials include a potent, relaxing effect and an intensely fruity flavour and aroma. A great producer of thick, dense buds covered in a fragrant coat of resin with the aroma of grapes. Indoors, a short vegetative period is recommended, while outdoors she thrives best in warm, dry, Mediterranean climates or in the greenhouse. Sapphire Scout is one of those genetics that keep you wanting for more. Her delicious flavour of sweet blueberries with gentle notes of hash and diesel seduces even the most demanding palates, while her high THC content (up to 27%) sets the mood for relaxation from the very first, taking hold of your body and mind with no possible way out. A feminised Sativa-dominant cannabis strain that originates from the cross between two special OG (Florida cut) phenotypes and an OG (Florida cut) x Afghan cross. Humboldt Seed Organization has created this high-end hybrid with the aim of offering breeders the chance to try out an OG that has little to do with what we expect from an OG-derived strain. Sapphire OG is a real cannabis gem that will captivate all OG Kush lovers. It evolves into a vibrant medium-sized/big marijuana plant that may need extra support so as to hold the weight of its heavy branches. In fact, it is a marvellous option to cultivate using the SCROG method since its structure, with ample distance between nodes, lets light reach every corner of its body, resulting in a great development of secondary branches. When growing Sapphire OG cannabis seeds, we will discover an awe-inspiring plant brimming with colours and aromas that is a real must-have. Great results are obtained when indoors although it might be necessary to monitor its growth because it can double its size during the 12/12h photoperiod. However, it is in the open air that plants grow the most, up to such an extent that they can reach a height of up to 5 metres and produce incredibly abundant crops. Sapphire OG has an intense flavour and aroma, with notes of oil, pine, chocolate, citrus and flowers. The effect is powerful, both physical and cerebral, as it starts with a mental high that evolves into a long-lasting feeling of relaxation. It is the perfect marijuana strain to unwind after a hard day at work. A feminized Sativa-dominant cannabis strain derived from the cross between Sour Diesel #2 and Blueberry. This cannabis hybrid is widely known for its bluish hues as well as for its fruity flavour. 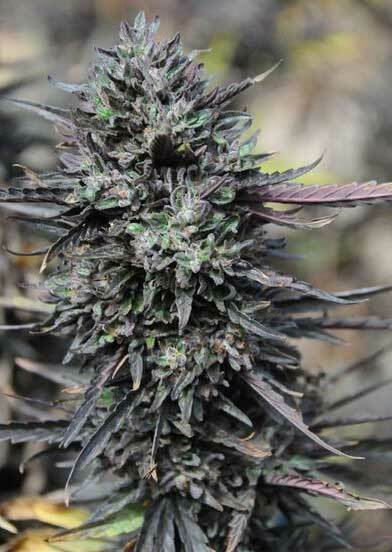 Sour Blueberry grows extraordinary medium-sized/big plants with a resistant structure and fast flowering properties that yield plenty of compact and resinous buds that acquire bluish/purplish hues during the flowering period if night temperatures drop dramatically. The flavour and aroma of Sour Blueberry are sweet and fruity, with a hint of acidity. Its effect is both powerful and balanced. Perfect for people who want to relax or need to ease anxiety. A feminized Sativa-dominant cannabis strain derived from the cross between a Mexican Sativa, an unknown Afghan and a Kemo. This easy-to-grow seed boasts some excellent organoleptic properties that are likely to delight all people alike. Sour Diesel #2 grows extraordinary medium-sized/big plants with a resistant structure and fast flowering properties that yield plenty of compact buds coated in resin. Sour Diesel #2 has an intense flavour and aroma, with a slightly acid bitter flavour and notes of diesel fuel as well as pinewood. Its powerful effect provides a clear and invigorating high of long duration. That is why this marijuana strain is among the favourite choices for most breeders worldwide. Indica-dominant cannabis strain derived by crossing Do-Si-Dos and OG Kush Breath. This is one of the most acclaimed and sought-after genetics in the USA and now the Californian seed bank has made her accessible to all. She stands out for her high resin counts and for a potent effect that is not for the inexperienced. An impressive hybrid with traits that all growers know how to appreciate. Plants are hardy and grow happy in dry, hot climates, producing great amounts of dense buds that give off a pleasant sweet, gassy aroma with notes of grape. With a THC content of 26%, this appealing hybrid produces an off-the-charts effect that pushes the limits of reality. The flavour, a blend of fuel, pine, incense, vanilla and cinnamon, lives up to the hype too, so prepare yourself for a unique, truly out of the ordinary experience. Indica-dominant cannabis strain derived by crossing Blue Dream and Three Kings ((Headband x Sour Diesel) x OG Kush). With impressive yields, amazing resin counts, tons of flavour and an overwhelming effect, this is definitely one of the best American-born hybrids of all times. Produces hardy plants that grow comfortably both indoors and outdoors, particularly in hot, dry climates or in the greenhouse. Growers are sure to be satisfied with her bumper crops of compact buds covered in fragrant resin. The aroma of Three Blue Kings is a unique zesty blend with distinctive sweet, fruity notes that doesn't fail to impress. This gives way to a pungent flavour with hints of pine, fuel, oil and lemon, all of which topped off with a pleasantly potent body and mind high that lingers for hours. Trainwreck cannabis seeds by Humboldt Seed Organization belong to a feminized cannabis strain created in Arcata, Humboldt. It is considered to be one of the most potent Sativa strains ever created in California. Trainwreck grows in a beautiful medium-sized/big plant with a resistant structure that yields plenty of large and resinous buds. As it tends to stretch in excess, controlling its size when cultivating indoors is highly necessary. Breeders of all levels will fall in love with the high-quality end product Trainwreck cannabis seeds provide in such a short time. Trainwreck has an intense flavour and aroma, with notes of spiced Kush, cedar wood and some slight touches of acid. Its effect is really powerful, providing a clear and invigorating Sativa-like high. This marijuana strain is not suitable for occasional users. Blue Dream Auto cannabis seeds by Humboldt Seeds Organization belong to a feminized autoflowering Sativa/Indica/Ruderalis cannabis strain derived from the cross between a Blue Dream and a Ruderalis. It is a great strain that enables Blue Dream lovers to obtain fast crops. Blue Dream Auto is simply the fast version of the renowned marijuana strain by HSO, Blue Dream. It is an outstanding, fast-flowering, easy-to-grow, hardy plant that produces high yields of delicious, elongated buds covered in resin. Due to its numerous, complex qualities, it is one of HSO's favourite autos. Producing fast crops indoors and going unnoticed outdoors, Blue Dream Auto is suitable for growers of all levels. It is recommended to add 30% of coco to the soil mix and to water it frequently but in small amounts. Blue Dream Auto has deep flavour and aroma, with notes of blueberries, Haze, pine, incense and spices. The long-lasting effect is powerful, physical and cerebral. It is the perfect choice for having a good time with your friends. A feminized, autoflowering, Indica-dominant marijuana strain derived from the cross between a Bubba Kush, a Cheese and a Ruderalis. It is a great-quality auto hybrid that boasts the noble lineage of its parents. Bubba Cheese Auto was born with the ambition of totally treating the senses. It is a wonderful, fast-flowering, easy-to-grow, strong plant that produces high yields of wide elongated buds covered in resin. It is particularly aimed at growers seeking a strain with marked aromatic and taste properties. 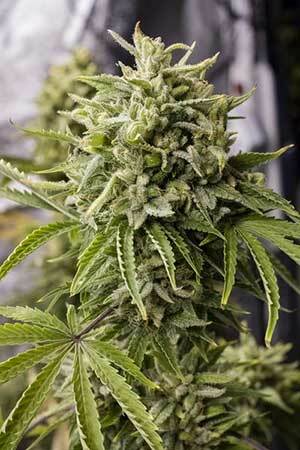 Bubba Cheese Auto produces fast crops indoors and goes unnoticed outdoors. It is recommended to add 30% of coco to the soil mix and to water it frequently but in small amounts. Bubba Kush Auto cannabis seeds by Humboldt Seed Organization belong to a feminized, autoflowering, Indica-dominant marijuana strain derived from the cross between a Bubba Kush and a Ruderalis. It is a great-quality auto that gives you the possibility to grow this Californian cannabis delicacy in record time. Bubba Kush Auto was created to offer an auto version of the renowned Californian Indica, recognised by the most experienced growers, to the general public. 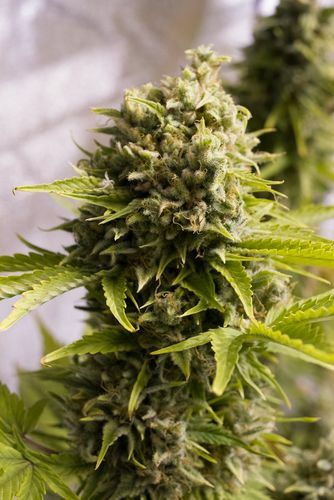 It is a wonderful, fast-flowering, easy-to-grow, small, strong, resistant plant that looks like an elegant bush and yields big buds covered in resin. It can be grown both indoors and outdoors and performs well in the hands of growers of all levels. Bubba Kush Auto delivers quality crops in small indoor spaces and goes unnoticed outdoors. It is recommended to add 30% of coco to the soil mix and to water it regularly in small amounts. Bubba Kush Auto has deep flavour and aroma, with notes of oil and earth. The long-lasting effect is powerful and soothing. It is the perfect choice for unwinding or for medicinal use. An autoflowering Sativa-dominant marijuana strain derived from the cross between a Dedoverde Haze and a Haze Autoflowering. It is a high-quality auto hybrid aimed at Sativa lovers. Dr Greenthumb's Dedoverde Haze Auto was born to offer an auto with the main features of a Sativa but of shorter height and shorter flowering period. It is an elegant, slender, fast-flowering, easy-to-grow, plant that grows strong and produces high yields of delicious, compact buds. Dr Greenthumb's Dedoverde Haze Auto delivers quality crops in small indoor spaces and goes unnoticed outdoors. Depending on the area it is grown, it can be harvested several times per year. It is good to add 30% of coco to the soil mix in order to improve oxygenation and thus optimize the overall development of the plant. Dr Greenthumb's Dedoverde Haze Auto has intense flavour and aroma, with notes of fresh flowers, earthy lemon, pine wood, Haze, incense and spices. The effect is powerful and cerebral and provides a very noticeable feeling of relaxation. It is the perfect choice for hanging out with friends. A feminized autoflowering Sativa/Indica/Rudralis cannabis strain derived from the cross between a Lost Coast Skunk and a Ruderalis. It is a high-quality auto hybrid and the ideal strain for beginners to obtain a quality crop in an easy way. Lost Coast Skunk Auto was created to ensure that all growers can obtain quality crops without trouble and with little effort. It is an elegant, fast-flowering, easy-to-grow, strong plant that produces plenty of elongated, bulky buds covered in resin. It is an all-around auto that will delight all breeders alike. 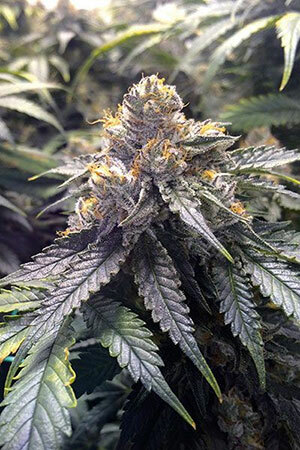 Lost Coast Skunk Auto can be grown in small indoor spaces and goes unnoticed outdoors. It is recommended to water it scarcely but regularly and to add 30% of coco to improve the oxygenation of the soil. Lost Coast Skunk Auto has deep flavour and aroma, with notes of Skunk and pepper. The long-lasting effect is powerful, balanced, physical and mental. It is the perfect choice for unwinding peacefully. A feminized autoflowering Indica-dominant cannabis strain derived from the cross between Jack Herer and Haze Autoflowering. 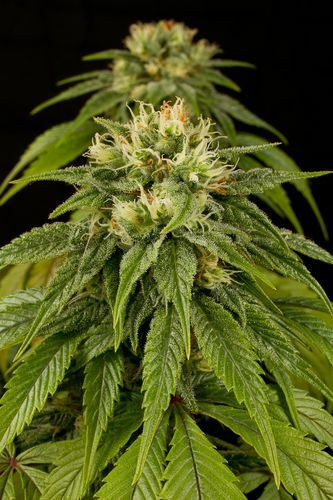 The result is a cannabis strain with remarkable fast flowering properties and tasty organoleptic characteristics that is sure to captivate all people alike. Lemon Juice Express turns into a beautiful plant with a resistant structure that yields delicious and compact buds overflowing with perfumed resin. Although growing Lemon Juice Express Auto seeds and obtaining a high-quality product can be really easy, it is important to make sure the substrate is well-aerated because this contributes to an optimal oxygenation of the roots as well as to a better absorption of the necessary nutrients. It has an intense flavour and aroma, with clear notes of lemon, pine, exotic wood and incense. The effect is physically and cerebrally powerful, as it starts with a cerebral high that evolves into a long-lasting feeling of relaxation. It is perfect to wind down on your own or with friends. A feminized, autoflowering, Sativa/Indica/Ruderalis marijuana strain derived from the cross between an OG Kush and a Ruderalis. It is a high-quality auto version of this wonderful Californian genetics. OG Kush Auto was born to offer high-quality crops easily and in a short period of time to the lovers of this strain. It is a distinguished, fast-flowering, easy-to-grow, vigorous plant that yields delicious buds covered in resin. It tends to stretch a lot considering we are talking about an auto, so it is advisable to use stakes to hold the branches. Suitable for all kinds of growers, it is recommended for those who seek strains with intense exotic aromatic and taste properties. OG Kush Auto delivers quality crops in indoor spaces and goes unnoticed in a balcony, a terrace, a window or simply in the garden. Depending on the area it is grown, it can be harvested several times per year. Adding 30% of coco will enhance soil oxygenation. OG Kush Auto has deep flavour and aroma, with notes of oil, detergent, lemon and pepper. The long-lasting effect is powerful, mental and physical. It is the perfect choice for unwinding cosily in good company. A feminized, autoflowering, Sativa/Indica/Ruderalis cannabis strain derived from the cross between a Sour Diesel #2 and a Ruderalis. This superb-quality auto strain is the auto version of the Sour Diesel. Sour Diesel Auto was created to offer a shorter, faster version of its predecessor. It is a wonderful, fast-flowering, easy-to-grow, strong plant that yields large elongated buds with lots of resin. Sour Diesel Auto delivers fast crops indoors and goes unnoticed outdoors. Adding 30% of coco is recommended since it improves the oxygenation of the soil. Frequent watering in small amounts is beneficial too. A feminized autoflowering Sativa/Indica/Ruderalis cannabis strain derived from the cross between a Cheese and a Ruderalis. It is a high-quality auto hybrid that remains faithful to the characteristics of the Original from the UK. UK Cheese Auto was born to offer a quality autoflowering version of this legendary European strain to the general public. 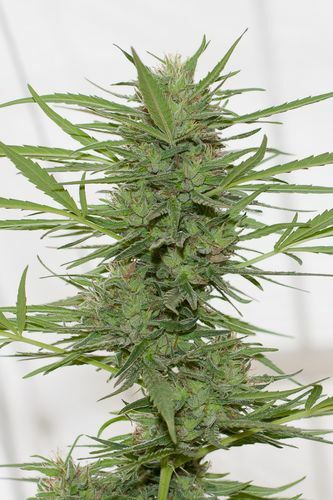 It is a fantastic, fast-flowering, easy-to-grow, hardy marijuana plant that yields a huge central bud as well as plenty of compact buds covered in resin all over the secondary branches. Suitable for all kinds of growers, it is a good choice for a first experience for beginners. UK Cheese Auto has good overall balance and, thanks to its size, it delivers quality crops in indoor spaces and goes unnoticed outdoors. Adding 30% of coco and frequent watering in small amounts is recommended. UK Cheese Auto has delicious, deep flavour and aroma, with notes of Skunk, fresh flowers and cheese. The long-lasting, powerful effect starts with a pleasant cerebral stimulation and ends with a mild feeling of body relaxation. It is the perfect choice for unwinding on your own or in company.